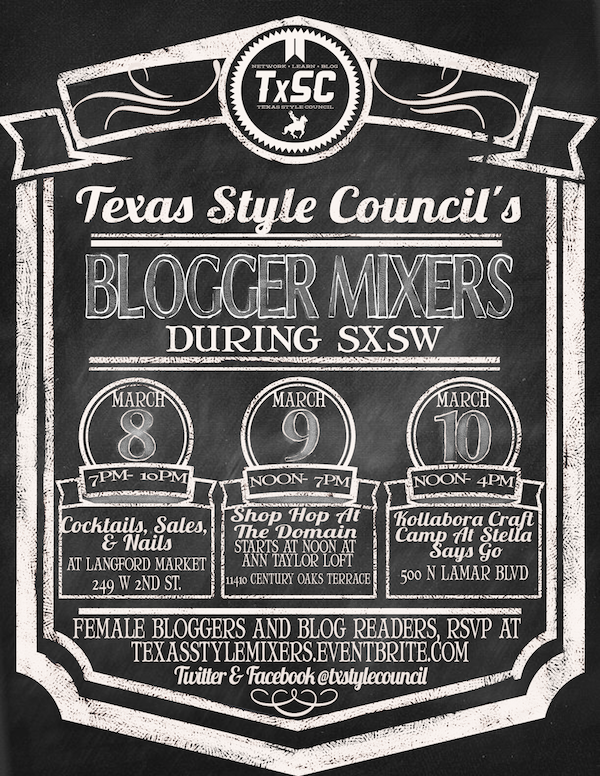 Texas Style Council, the annual blogging conference in Austin organized by ATX sweetheart Indiana Adams, is back in action. Woohoo! Though the official conference isn't until August, we can all get acquainted before the main event with several mixers (RSVP here) happening on March 8, 9 and 10. Blogging babes, get ready for a weekend of epic adventures involving all our favorite things: blogging, shopping, schmoozing, crafting, and other various activities that end in -ing. For detailed info on each separate event, check out Indiana's post here. The event I'm most psyched about? 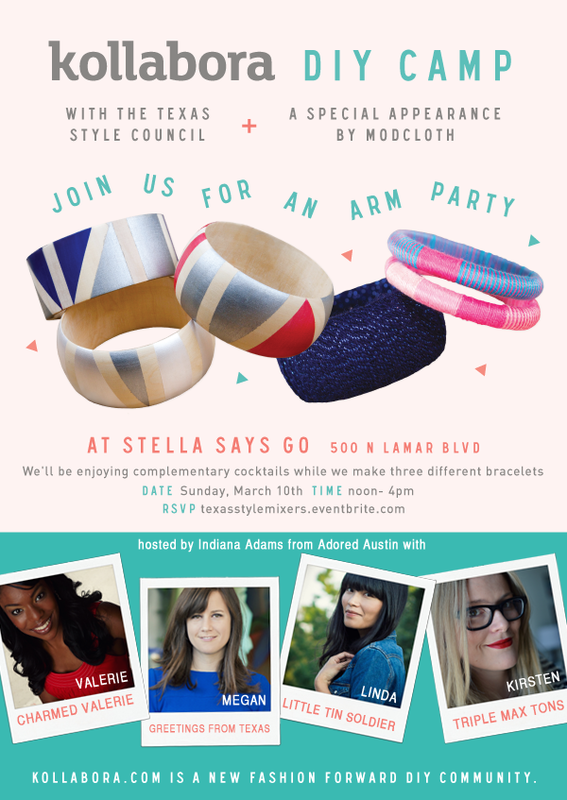 The Kollabora craft camp I am co-hosting with my blogger bestie Megan, Linda and Valerie on Sunday, March 10. I haven't met Linda or Valerie yet, and wowzas - after looking at their beautiful blogs, I can't wait to meet these creative gals. Mark your calendars, get your RSVP on, come on out to the TXSC mixers, and join us for a crafternoon of awesomeness. Hope to see y'all there.